Pendulums have been used since ancient times as dowsing tools to locate water, metals or ores, gemstones, oil, graves and other objects and materials. Healers use a pendulum to locate problems areas on the body and psychics may use a pendulum while communicating with spirits. The pendulum is also used to delve into your Higher Self to reveal answers to questions hidden from your conscious mind. Focus on a question and the pendulum will provide the answer. 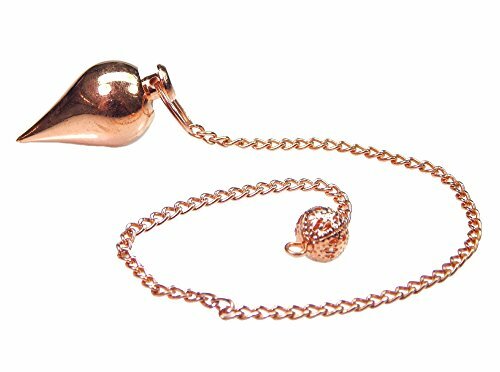 Pendulums have the answer but have you tried a solid copper one. Fabulous energy that is an immediate conduit. Enjoy the beautifully made and finished pendulums. Copper is medicinal as well as a positive energy in one's life. Use this Pendulum as a pendulum or as a pendant. It's Astrological sign is Taurus and Sagittarius. It vibrates to #1. Copper activates and opens the base and sacral chakras. It stabilizes and balances energies to help with intuition, sexuality, desires, vitality while harmonically connecting our physical and astral bodies. It aligns in so many ways. It conducts electrical impulses and magnifies energy transfers. This is great for healers. Copper is also fabulous for arthritis as it stabilizes as well as balancing the flow of blood, thus helping to increase all the circulatory functions. It helps clean wounds and fight bacterial infections. Stimulate your metabolic processes and combat lethargy, passivity, restlessness as well as stimulating initiative and optimism. 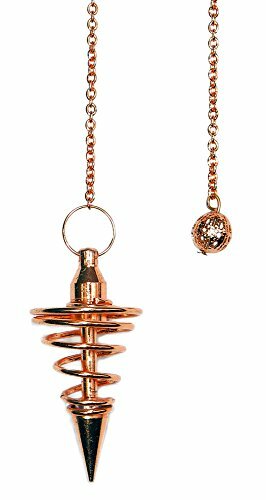 Enjoy this beautiful copper pendulum. 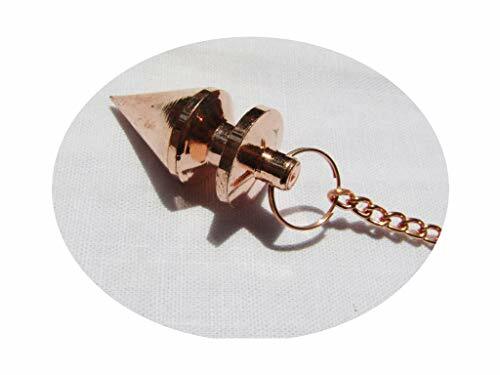 Copper Plated Cone With hat Metal Pendulum, Healing Wellness Dowsing.Composed of Copper, Brass and Zinc, has metaphysical healing properties to boost the immune system and to give courage. Brass, usually copper alloyed with zinc, is easily shaped, stamped and deep drawn. It has fair electrical conductivity, excellent forming and drawing properties and good strength.Lead brasses have excellent machining qualities and can be blanked, sheared, sawed and milled. Different grades of brass, with different amounts of zinc, have different characteristics in surface smoothness, corrosion-resistance, ease and quality of machining, response to plating, ductility levels, chemical and temperature limits... MYSTICAL-INDIA~ bringing you a range of products designed and handcrafted direct from India. 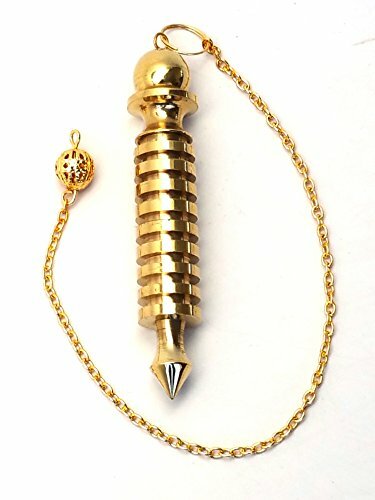 People Crystals Gold Plated Isis Pendulum! Pendulums are an intuitive extension of yourself, a device of communication. For centuries people have used pendulums to increase ones electromagnetic sensitivity, while guiding them towards correct answers to their important questions. It is one of the oldest, and one of the simplest methods of obtaining information intuitively. 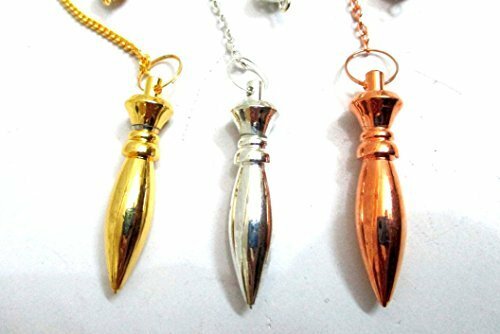 Specifications: - Size: 70 mm/Chain Length: 16 cm each (6.4") - Perfect for healing, dowsing, reiki, meditation, and chakra balancing - Golden Isis is an egyptian pendulum with "ridges" (also known as batteries) - created to improve energy balance. This pendulum can be used as a lovely pendant if preferred. 100% MONEY-BACK GUARANTEE - People Crystals products are backed by our 100% guarantee that you are fully satisfied with your product or receive your money back. 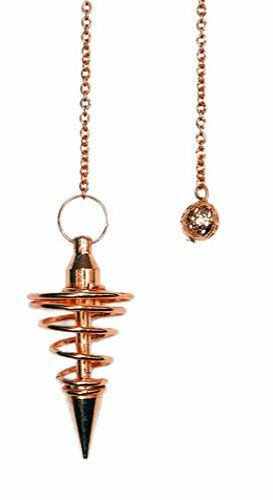 This Pendulum is perfect for Divination, Chakra Testing and Spiritual Healing. Tantrism, spiritualism and eradication of evil forces. Pendulum should be clean after each use to get best results.Kindly Note:1.All these items are handmade so the size of the actual item you received could be slight different.2.All natural stones are different and due to photography lighting effects and editing there could be slight differences in the color of the pictures and the actual item. 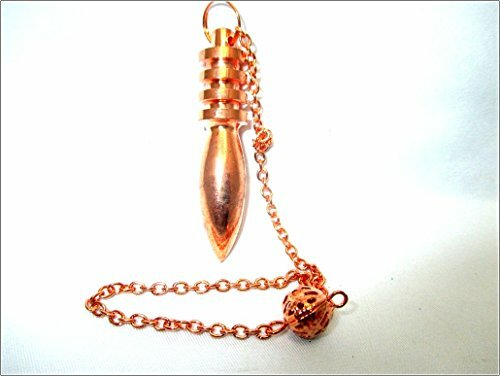 Looking for more Copper Pendulum similar ideas? Try to explore these searches: Basketball Message Ring, Collegiate Backpack, and Self Adhesive Candy Dots. Look at latest related video about Copper Pendulum. Shopwizion.com is the smartest way for online shopping: compare prices of leading online shops for best deals around the web. 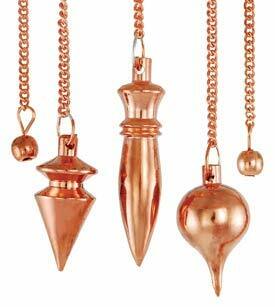 Don't miss TOP Copper Pendulum deals, updated daily.